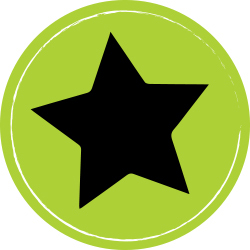 Mainstream awareness-raising activities: We had 1,572 stories in the media resulting in 30.6 million opportunities for people to see our messages about the importance of understanding food allergy. This coverage included articles in The Sydney Morning Herald, The Daily Telegraph, ABC News, Channel Ten News, Australian Women’s Weekly, That’s Life, New Idea and Mamamia. A huge thank you to all our members who put their hand up to share their story with the media that helped us achieve these great results. Additionally, we shared important information with more than 300 influential people and organisations (allergy clinics, dietitians, bloggers, first aid providers and relevant organisations) to distribute among their networks in any way possible. Schools, preschools & day-care centre communications: 13,000 schools, preschools and day-care centres across the country received two e-newsletters about Food Allergy Week, alerting them to new and updated resources (teaching toolkit, posters, animations) available. Resources: Two new video resources were created for Food Allergy Week 2016. The ‘Take The Kit’ video, which was an adaptation of the UK campaign, encouraged kids to always take their allergy kit with them. This video had over 9,300 views and reached over 41,000 people. The other resource created was an animation explaining how to give an epipen in a simple and engaging way. Launched on Facebook, this animation had more than 229,000 views and reached over 640,000 people. Check out these resources here. Ambassadors: Six ambassadors helped us spread the word about Food Allergy Week through their networks. This included; The Wiggles, Peter Helliar, John Mangos, Richard Di Natale, Anna Burke, Luke & Fergus Doerner. 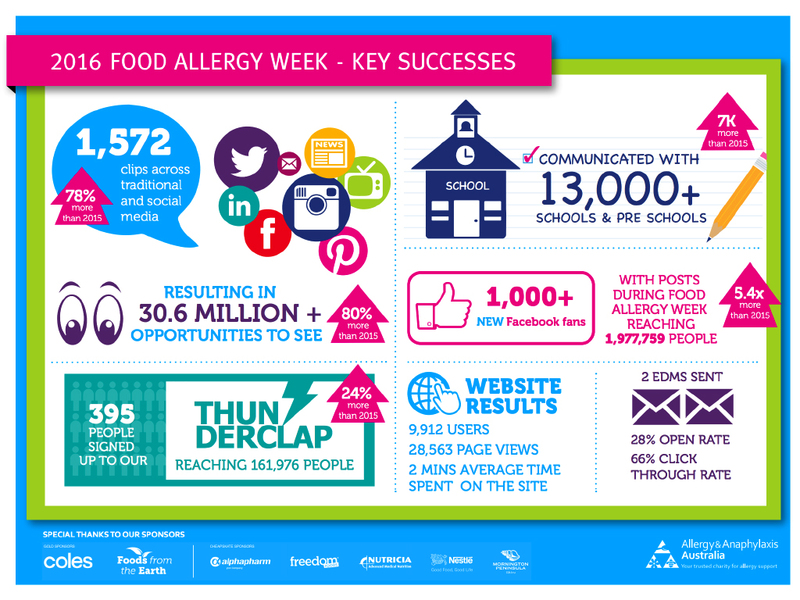 Website: We launched the new Food Allergy Week website, making it easier for people to access resources and find out more about Food Allergy Week. Launch event: We kicked off Food Allergy Week with a launch event hosted by campaign ambassador John Mangos. The hon. Sussan Ley MP, Minister for Health officially launched the week and announced government funding for the National Allergy Strategy, while leading allergists Dr Richard Loh and Dr Preeti Joshi shared the latest research on food allergy.